Saving money is very important, but it sometimes makes sense to spend money wisely. Outsourcing is one way you can do this; to free up your time, build your business, or improve your lifestyle by eliminating certain tasks. My guest this week knows a thing or two about outsourcing. Miranda Marquit, from Planting Money Seeds, is a professional writer who has learned how to leverage her strengths and make more money by outsourcing. 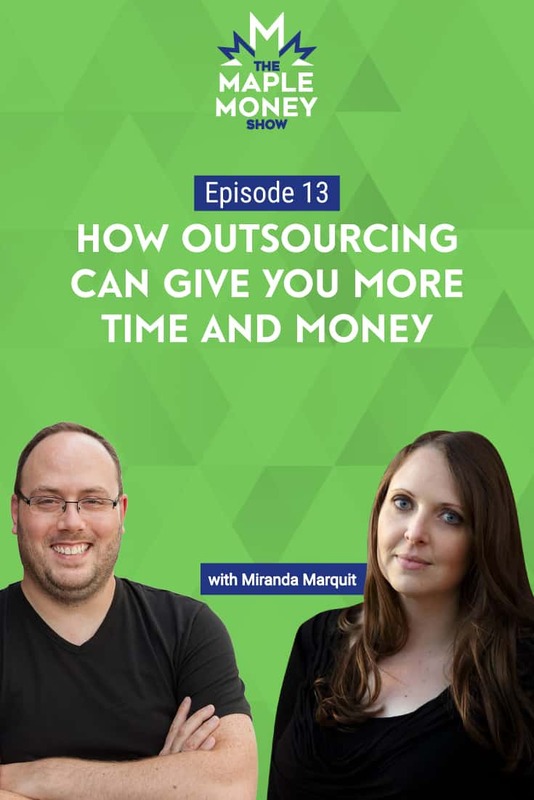 Miranda and I discuss how outsourcing both personal and work related tasks can vastly improve your quality of life, and Miranda shares some tips on where you can go to find outsourcing help. Want to take outsourcing to the next level? You may want to consider hiring a Virtual Assistant (VA), to help you run your life. No matter what level of outsourcing you’re looking for, it’s important that you find the right person for the job. Our sponsor this week is Borrowell. They recently did a study which showed a correlation between the frequency of checking your credit score, and a credit score increase. To begin increasing your credit score, head over to Borrowell today! Miranda explains why she outsources social media work. Your focus should not be on turning your weaknesses into strengths. Leverage your strengths to make more money. How hiring a virtual assistant can help. You don’t always have to outsource to a person. There’s a reason why CEOs aren’t doing the mundane work. Miranda shares how she outsources to gain lifestyle dividends.